A successful day at the 2016 Olympic Games as GB Boxing reach their medal target. Buatsi takes home a bronze medal while Joyce and Adams are guaranteed at least a bronze medal. First up in tonight’s evening session was light heavyweight, Joshua Buatsi. He was boxing for his place in the final and faced Kazakhstan’s Adilbek Niyazymbetov. Kazakhstan’s highly accomplished boxer, a two time world silver medallist and the reigning Olympic silver medallist. Ranked number two in the world and a number two seed in the tournament, Niyazymbetov was going to be a tough opponent. Buatsi made a great start in the opening round, he came out on the front foot scoring with long shots. The experienced Kazakh made it difficult for Buatsi, trying to disrupt his rhythm forcing Buatsi to concede the opening round. Into the second round Buatsi showed frustration as his opponent continued to hold, controlling the pace of the contest. The final round and Buatsi needed a huge round to win the contest, the Kazakh was proving difficult to pin down. Triumph from Buatsi who misses out on a place in the final by unanimous decision and takes home a bronze medal from the 2016 Olympic Games. Speaking of his achievement, Buatsi told Team GB: “I’m disappointed but a bronze medal surpasses all expectations. Once I got here and I was winning, I was aiming for gold and nothing else but coming out no one expected a medal. I did the hard work and I gave it my best shot. “The support was amazing and I’m disappointed to have lost in front of a big crowd like that. “I am grateful I have been able display my power and boxing ability on a big stage. 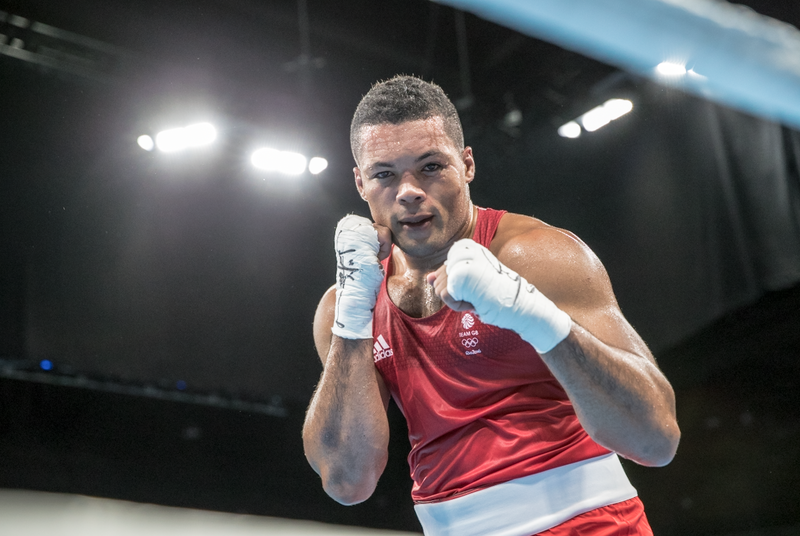 Next up looking to secure his place on that podium was Team GB’s Joe Joyce, he needed to beat Uzbekistan’s Jalolov Bakhodir. Joyce who is a number three seed in the tournament and number three in the world came out on the front foot. Looking to slow his opponent with body shots, Joyce set the tone and took the opening round across the board. The second round saw Joyce out on the front foot again, forcing a strong attack against his opponent who struggled to hold him off. Joyce showed complete denomination in this round. The final round saw Bakhodir receive two standing counts as Joyce overpowered him with shots. GB Boxing’s super heavyweight has guaranteed himself a place on that podium as he won by unanimous decision. Joyce said: “I felt good going into the ring. I have been in Brazil for a very long time. I was in Belo Horizonte for the Team GB training camp and have been in the athletes’ village for a long time where I have continued training hard so I feel very good. “It would have been nice to have landed a big shot and put him down but as you go through the competition, it gets harder to land shots so I am just pleased with the win. The final boxer looking to secure herself a medal is women’s middleweight Savannah Marshall. She faces Nouchka Fontun of the Netherlands at 1915 GMT tomorrow evening.